Women in Film and Television is set to host a funding event titled ‘Meet the Funders’ on Monday 14 May from 5:00pm to 7:00pm at Film Studio, Queen’s University Belfast. Development funding is arguably the most important stage of any project – but it is also one of the most competitive parts of the process. How can your application stand out from the others? Philip Cooper (BAI), Sophie Hayles (Creative Europe Desk UK – Northern Ireland) and Suzanne Harrison (Northern Ireland Screen) will give key industry advice and insider knowledge about how to write a killer funding application and offer an overview on funding opportunities within development, production and training. Networking will take place after the event. Philip Cooper is a manager in the Broadcasting Authority of Ireland (BAI) with responsibility for the administration of the Broadcasting Funding Scheme “Sound & Vision 3”. Philip joined the BAI in 2007 and took over the operational management of the Scheme in 2017. Based at the British Council in Belfast, Sophie is responsible for promoting and facilitating both Creative Europe’s MEDIA sub-programme and Culture sub-programme within Northern Ireland. Sophie is an experienced arts professional in the public and private sectors – as a project director, relationship manager, strategist and fundraiser. Before joining the Desk, Sophie worked as an Associate with Counterculture Partnership LLP, a UK-based consultancy that supports cultural, creative and not for profit organisations to plan, manage and thrive. Previous roles have also included Strategic Development Manager at Aarhus 2017 European Capital of Culture, Strategic Relations Manager at the Whitechapel Gallery and Project Consultant for the British Council’s global arts initiative Cultural Leadership International. She began her career as Arts Manager with the British Council in Brussels, and setting up the private visual arts organisation ROLLO Contemporary Art. She speaks French and Italian as well as some German and Danish. 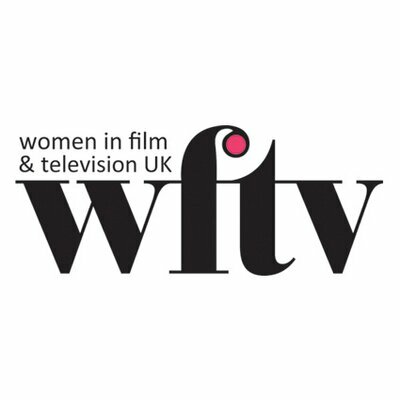 This event is for women in the film and television industry only, it is open to both members and non-members of WFTV. Registration details can be found here.